"We're going to get a Malamute puppy!" 4 1/2 year old Jennifer was so excited as she left with her dad on that fateful February morning in 1984. 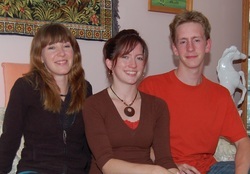 They returned with 2 month old Maja, a black and white, registered Alaskan Malamute who changed our lives forever. Natalie was only 1 1/2 and when Barb walked the dogs, Smokey would walk with Jennifer but Maja was trying to be lead dog in front of the baby stroller. 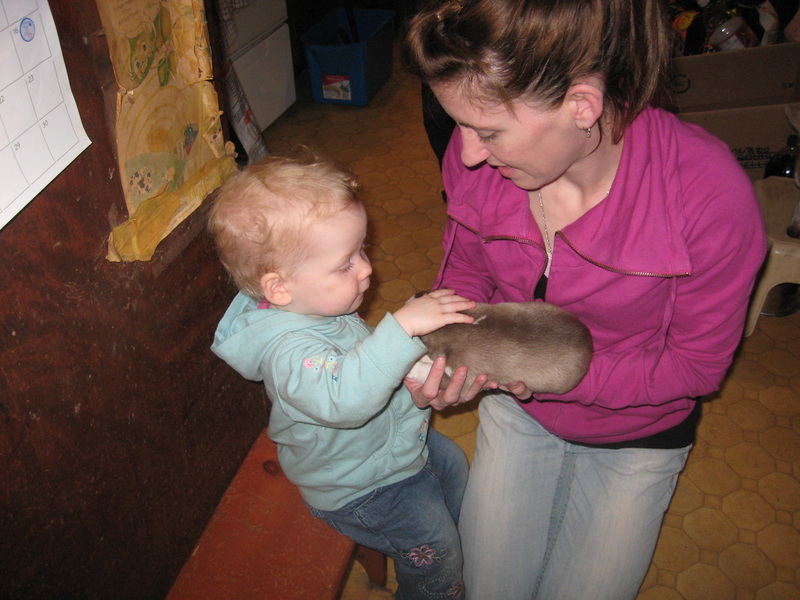 It soon became apparent that some obedience classes were needed, so we joined our local club and went to work. 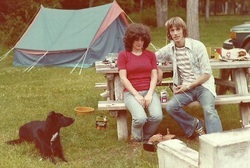 We had a lot of fun, made many friends and in spring of 1986 earned the title of Companion Dog (CD) with Maja. Geoffrey was born in September of 1986 and 3 months later Maja presented us with our first Astablak litter of 12 Malamute puppies! 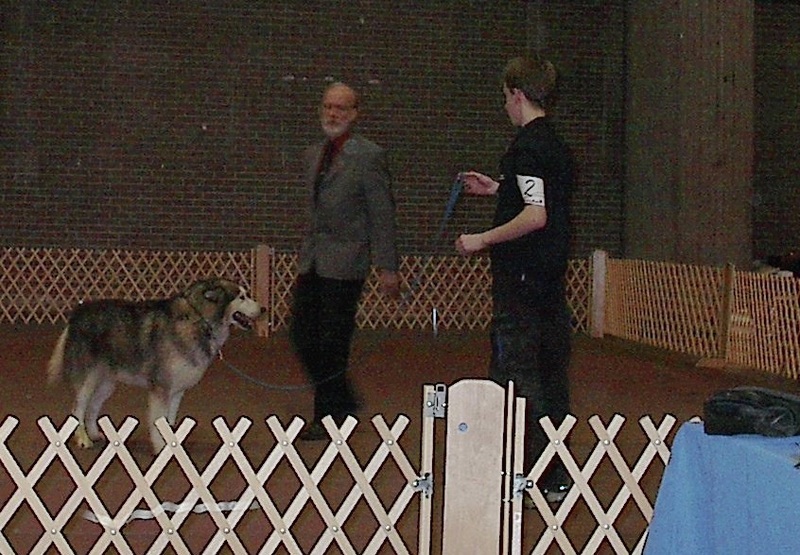 We kept a male, Kyrik, he became our first Champion and also earned his CD. In Spring of 1988 we added Imbri to our growing family and decided it was time to leave suburbia, move to the country and start our kennel. 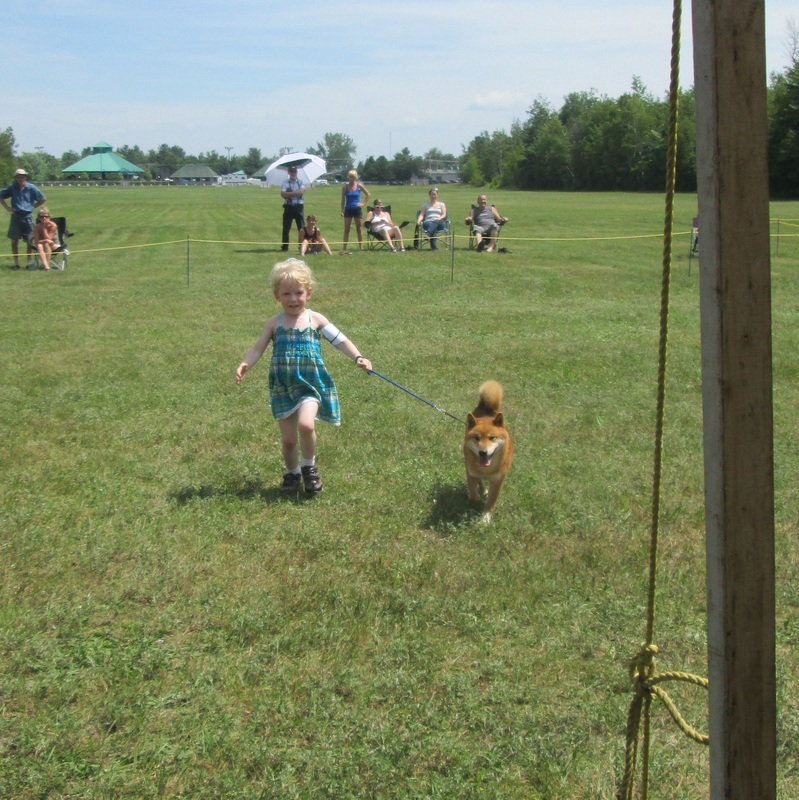 Over the years we have remained a small kennel, only breeding on occasion, but we have dedicated ourselves to producing healthy dogs with sound temperments, good comformation and a working attitude for both sledding and obedience. July 2001 saw the birth of our last Malamute litter and since that time we have been gradually changing to Siberian Huskies. It has been interesting getting to know the similarities and differences between the two breeds. Our other passion is riding our Harleys around North America. 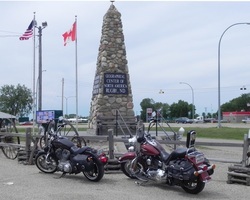 Here we are in Rugby, North Dakota, the geographical center of North America in 2012. 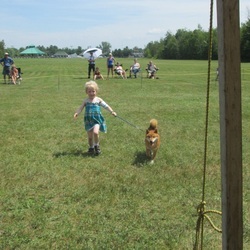 As the kids got older they too got involved with showing and obedience. 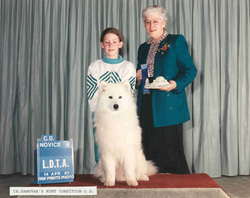 Jennifer wanted to show dogs also but found the Malamutes too strong, so she got a Samoyed, Minty. Together they earned both a Championship and a CD. 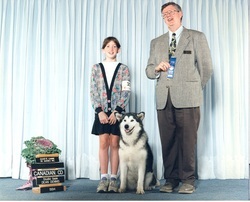 Natalie got a Malamute, Zelda, who got a CD but unfortunately had to be spayed before completing her Ch. 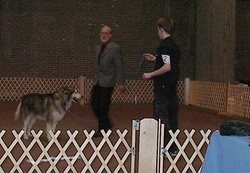 Geoffrey and his Malamute, Scout, did all the training but never managed to complete a CD, Scout did however get his CH. Jennifer and Natalie still can be seen in the show ring quite often, handling for both us and friends. Geoffrey is currently busy working in Seoul, Korea. The next generation, Jennifer's daughter Maïa and son Jaxen, will be in the junior handling ring in a few short years.